Our heavy duty canvas day bag is just the right size to carry your essentials and features an interior pocket and an exterior pocket under the flap. A velcro closure secures the flap of the bag to the body keeping your belongings safe. 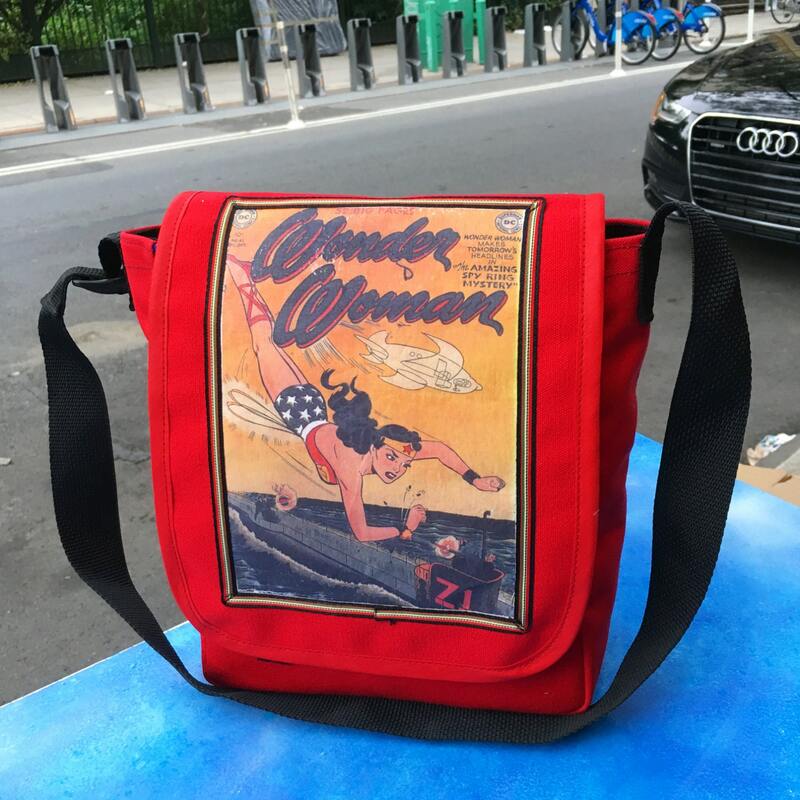 The vintage Wonder Woman comic image is appliquéd with a ribbon trim. There is a 1.5" poly pro adjustable webbing strap so the bag can be carried as a shoulder bag or worn cross body. This image is also available as a larger courier bag and in other canvas colors. Please feel free to convo with any questions or requests.